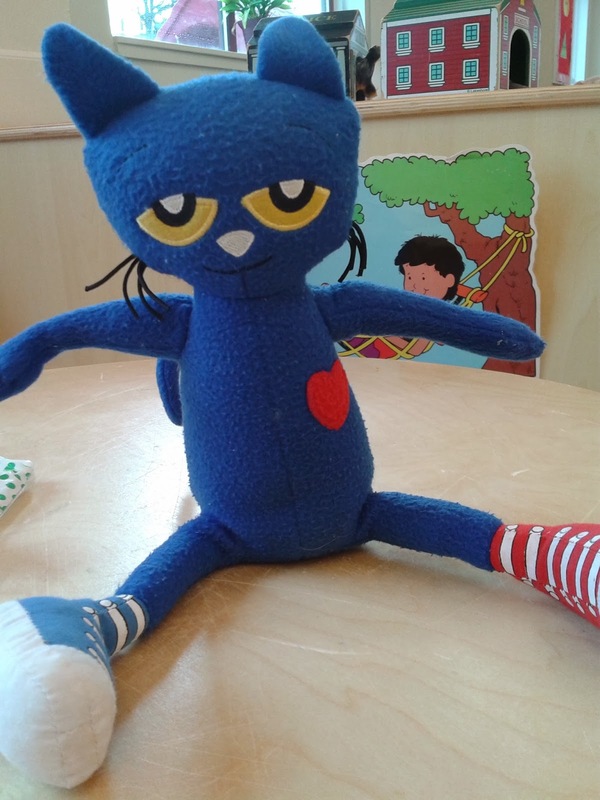 Teach Easy Resources: Pete the Cat is Having a Sleepover! You may not be a cat lover. But I think every teacher and kid loves one particular feline - PETE the Cat, a hip, happenin' kitty featured in stories by Eric Litwin. Pete. with his groovy attitude toward life and all its little mishaps is definitely a fan favourite in our classroom. And then there's the music/songs to accompany Pete's adventures. 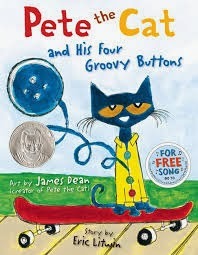 After reading a story, even I can't help but hum the lyrics for a few hours afterward - "My buttons, my buttons, my four groovy buttons... "
We decided to follow up our Pete the Cat Unit last month with sending our Pete stuffy home with the kids for overnight visits. We pop him into a bag with a letter to the parents (including an explanation of the activity), and a journal sheet for the child to fill out to document the visit. The journal sheet and letter to parents are available as part of my Pete the Cat Unit. 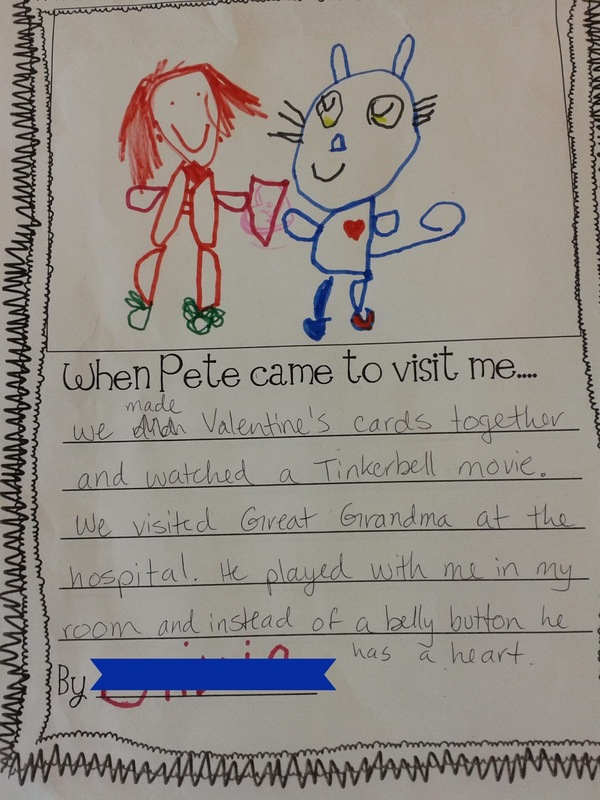 Since the children in our class are not writing yet, we ask the parents to scribe the children's account of Pete's visit for the journal entry. Then the children draw a related picture in the box. 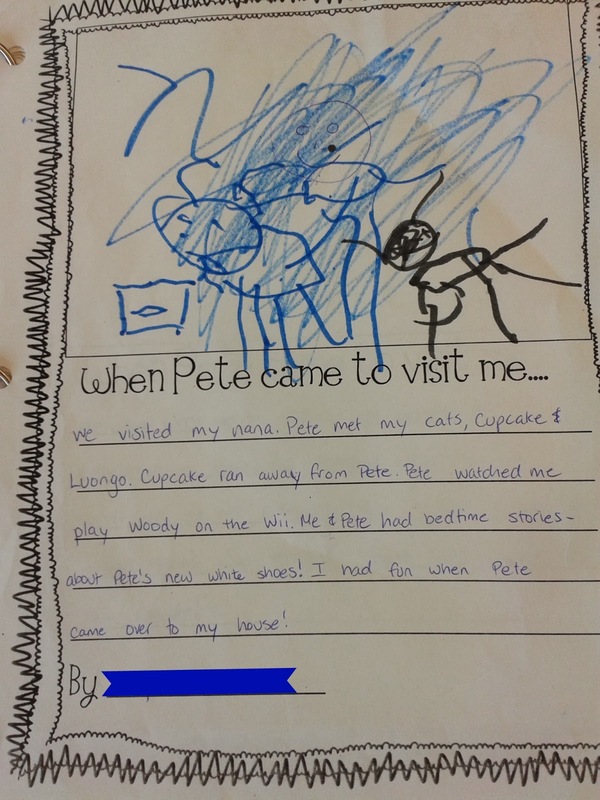 The kids love having Pete come home for a visit and they also enjoy having their Journal sheet shared with their classmates when they come back to school with him. 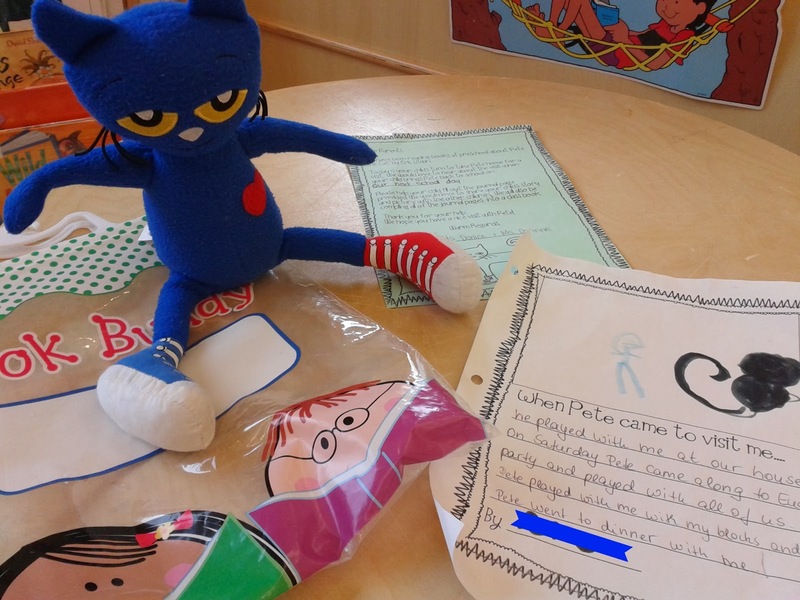 We teachers love extending the fun of our Pete the Cat Unit and encouraging the children to develop their storytelling skills. 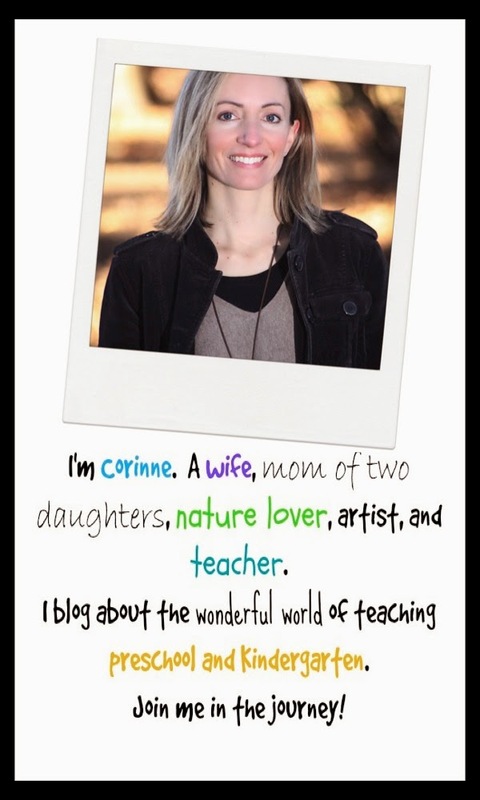 Plus, I must admit, their stories are darn cute! Pete seems to be having some pretty fun visits! We add all of the stories to a Pete Goes for a Visit class book (held together with binder rings) that we keep in our book centre.